One German brand copying another German brand? Never heard of such a thing. The upcoming revival of BMW’s 8 Series coupe is, not surprisingly, spurring the competition to act. Speaking to , Audi design chief March Lichte is game for a direct 8 Series rival, but there’s a problem: a weak market for luxury coupes. “I love the shape of a two-door coupe, but it is also true that the (sales) volumes (for them) are much lower than four-doors. In the future, who knows? We have many ideas in this direction,” Lichte said when asked about the segment possibility. Although Audi doesn’t seem to have anything in the pipeline at the moment, it will surely watch sales figures of the upcoming 8 Series closely as well as the new Polestar 1. Mercedes-Benz, of course, offers the S-Class coupe and AMG high-performance versions, all of which are selling well. 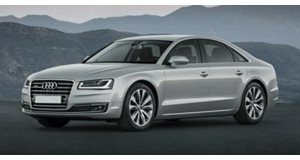 Audi previewed its latest styling language in 2014 with the Prologue Concept, and both the new A8 sedan and A5 coupe designs were directly inspired by it. 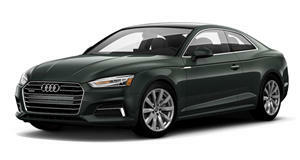 However, when the Prologue Concept was launched, Audi was thinking about offering a production version as sort of a sister coupe ship to the new A8, but ultimately passed on the idea. It was basically the A9 that never happened. But that was a few years ago and the market is once again changing somewhat. A large coupe, especially if it’d be all-electric, would definitely be interesting. In the meantime, Audi is focused on upcoming launches of the next-generation A6, followed by the Q8 crossover and the new A1 and Q3. This will be completed by the end of 2019, but after that things remain up in the air. ?